Location in space | KORAL s.r.o. Spatial orientation measurement (inclinometry) is used for determining the exact geographic co-ordinates of a drill hole and exact location of a given geological structure in space. Spatial course of a drill hole is inevitable for creation of a complex image of the geological structure in the area under study. 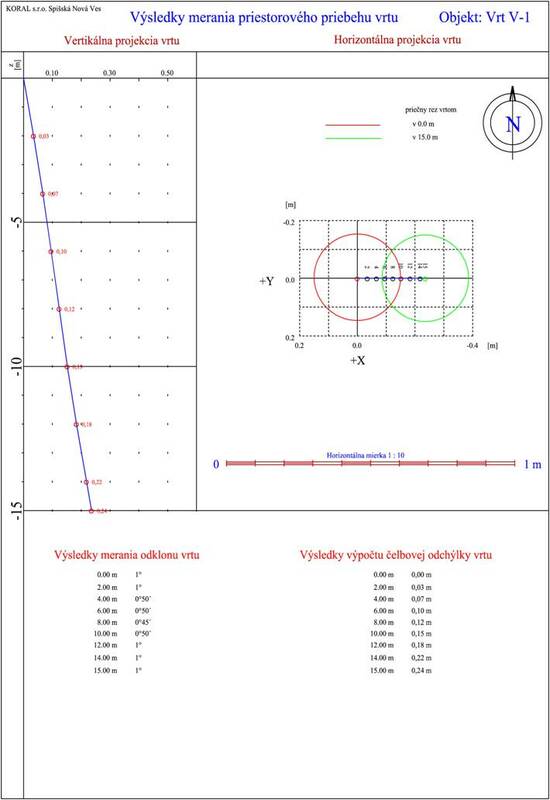 Our company can also provide inclinometry orientation measurements for the cased drill holes by using a gyroscopic inclinometer with continuous recording. The best technical procedure can be selected based on inclinometry measurements for the monitored hydrogeological wells (the best gauge for a pump, the length and maximum safety depth of a pump).